There are many free blogging platforms available and easy to use. You just have to signup and the blog is ready for you. In this post, I am going to show you how to build a website blog. 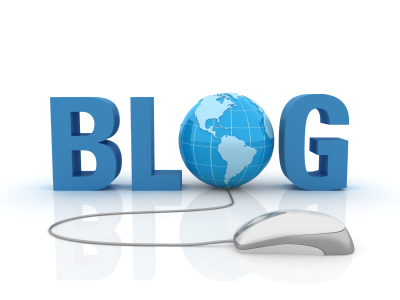 The function is same as any other blogs but the process building website blog is not same. The plus side is the blog build on your own is highly customisable and fulfilling your DIY desire. Learn more about website structure from this experience. Before blog installation process, we need a blog's web software. 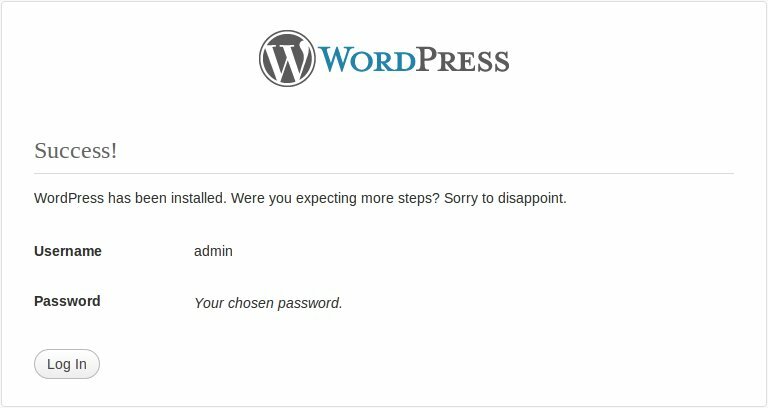 I will use WordPress for this blog installation example. At first, go to wordpress.org homepage and download the WordPress web software. After finishing WordPress software download, we use online FTP tool (www.net2ftp.com) to upload WordPress software to our server. Enter your website URL on FTP server, 000webhost username and password, and /public_html as Initial directory to login to net2ftp. Under Archives (zip, tar, tgz, gz), select the WordPress archive file and click the big green tick to upload. net2ftp will automatically decompress the archives. The process may take a little time so sit back and relax while waiting it to complete. After upload and decompressed you will see a list of files successful transferred into your server. Click blue arrow button to go back to blog directory. Now we setup the database connection. First, find wp-config-sample.php to rename to wp-config.php. 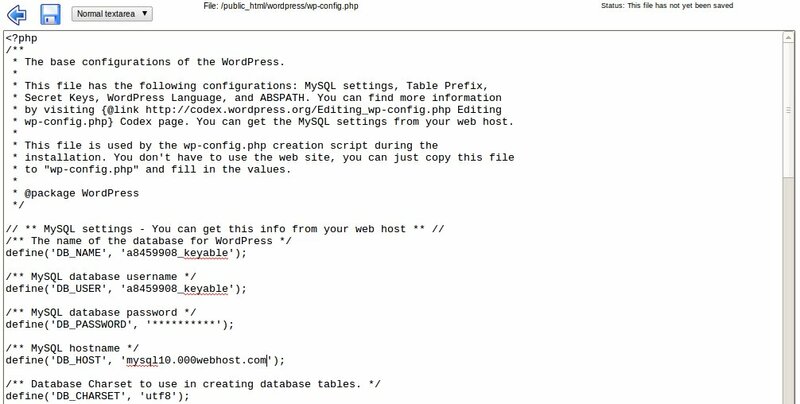 After renamed, we edit the wp-config.php file so that WordPress able to link with your server's database. Enter your database name, user name, password, and host on DB_NAME, DB_USER, DB_PASSWORD, and DB_HOST. In my example is a8459908_keyable, a8459908_keyable, **********, and mysql10.000webhost.com. You can read how to create database here in step 5. When you're done, remember to save it. Now we begin to install WordPress web software. Go to the URL where you uploaded WordPress. My example is http://www.keyable.co.cc/wordpress/. Enter information needed. Tick Privacy, if you want your blog to be indexed in search engines like Google and Technorati. Click Install WordPress. You have successfully installed WordPress. 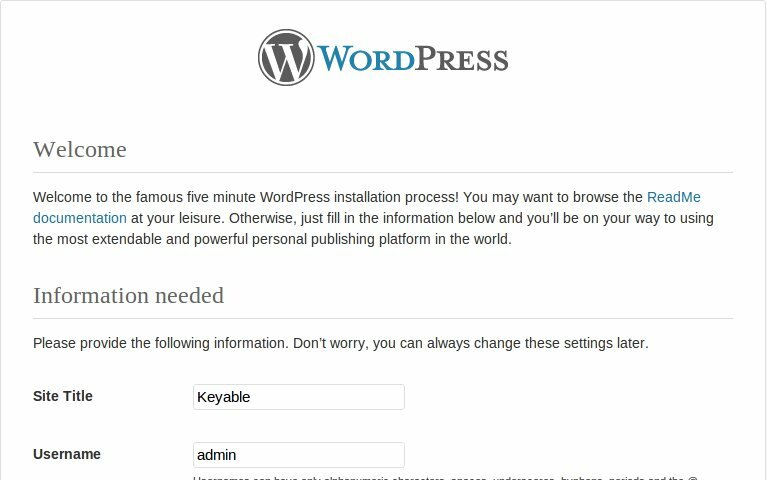 WordPress installation is very easy because it doesn't have any much options. Although my WordPress blog is using the same database with my forum site, it will not cause confusions. Every table will be named in prefix style. For example, SMF forum will use smf_xxxx and WordPress will use wp_xxxx. right away. First, you should make sure your article is focused on your keyword. Nowadays, many so-called SEO solutions are being offered online. end game important to you.